Central part of Zamoskvoretskaya (green) metro line will be closed this Saturday, October 17. 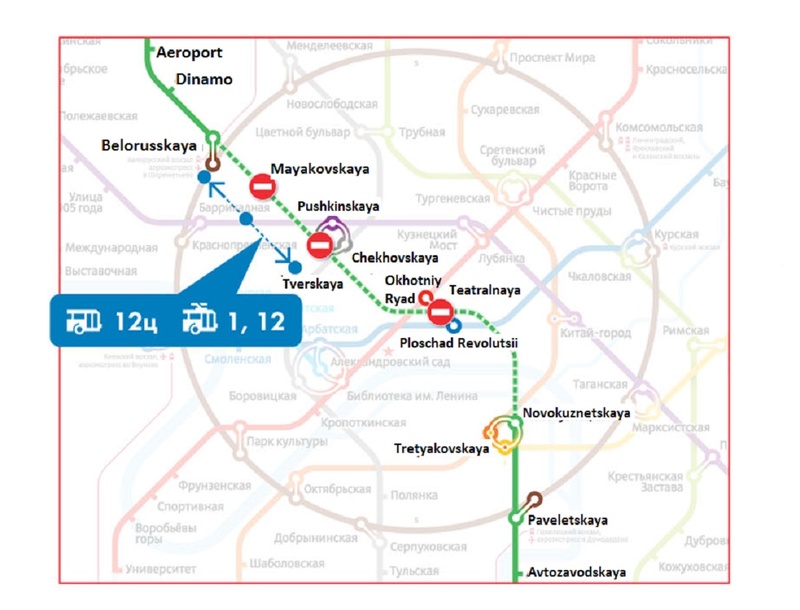 Trains will not run from Belorusskaya to Novokuznetskaya stations. 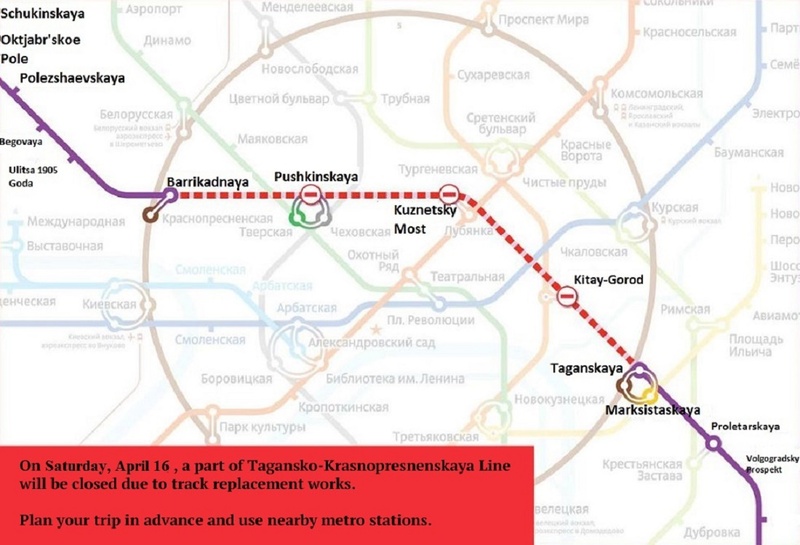 Teatralnaya, Tverskaya and Mayakovskaya stations will be closed. 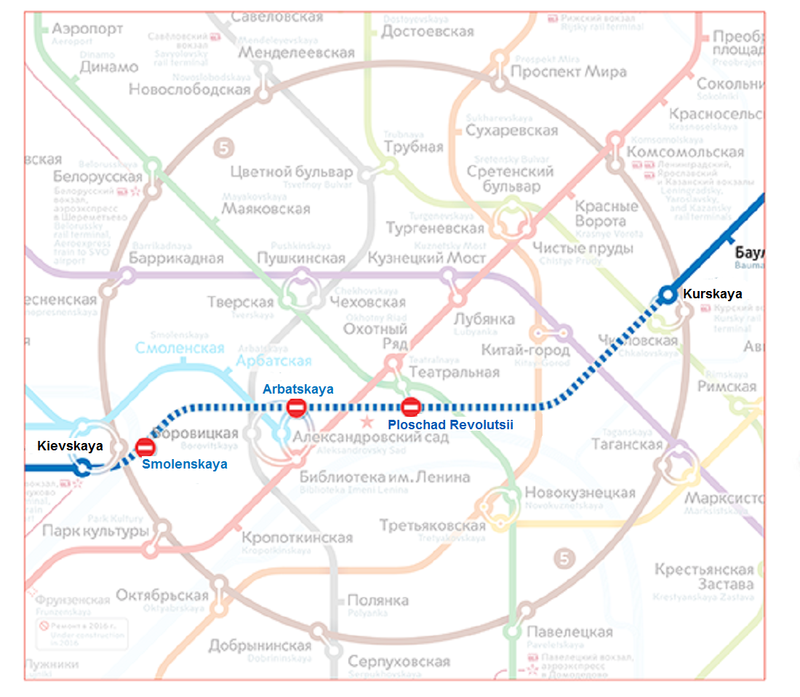 Passengers also will not be able to make transfer at the stations, adjacent to Tverskaya and Teatralnaya. These restrictions are introduced due to the overhaul of the ways. Passengers are advised to use nearby stations as well as the ground transport instead of the closed metro stations. For passenger’s convenience there will be more trolley buses operating on routes №1 and №12, and busses №12Ц. The closed stations will resume their work on Sunday October 18, 2015 in 5 hours 30 minutes.